Muck About invites children and their adults to take off their shoes, step into the earth and create a fun and joy filled landscape filled with community, friendship, connection and free imaginative play. 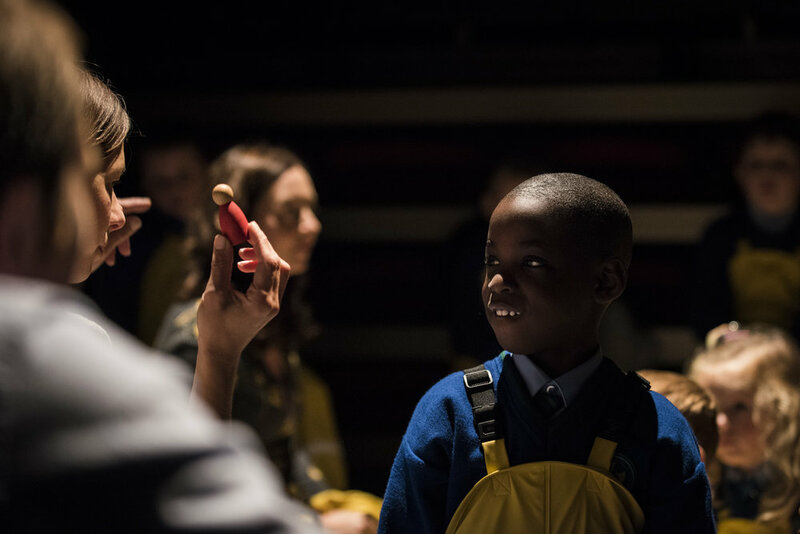 This performance and interactive installation explores human connections to nature and looks at how play and nature are intrinsically linked to the the development of healthy, happy human beings. For children aged 3- 7 years and their friends and family. making work for young audiences. 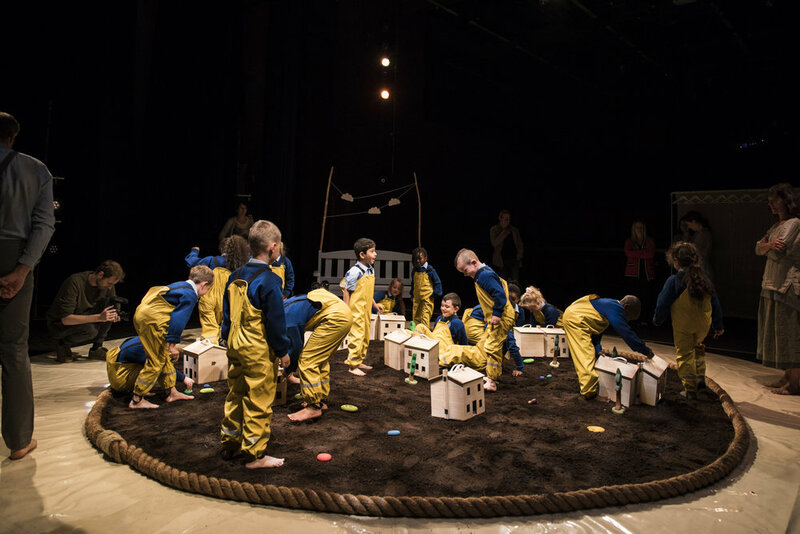 Muck About pushes the boundaries of theatre, invitng the audience onto the stage and passing control over to the youngest members of our society. Inviting children to take charge of a tiny town; to explore, to experiment and discover the world for themselves. 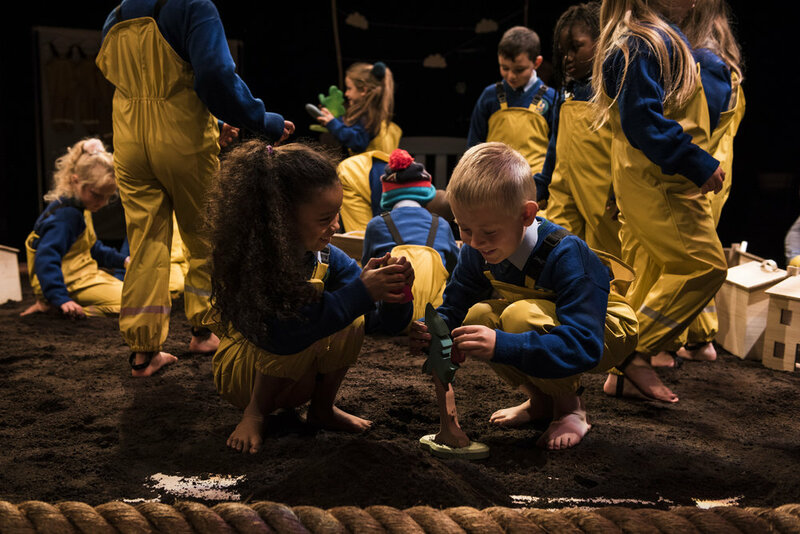 Muck About was created as part of a two year process of exploration into soil, seeds and children’s connections to the natural world. We explored ideas and techniques with Internationally round artists John Fox MBE and Sue Gill of The Dead Good Guides and previously Welfare State International. We looked at myth and ritual with Artists and researchers Miche Fabre Lewin (BA; Dip. Art Therapy) and Flora Hardy (BA; Dip. LA; PhD) of Touchstones. We read, watched, listened, played and experimented. We worked with Soil Scientists, our local community, school children and families as well as our own talented team to dig deep into the fundemental human needs and uses of play. The result was this very special and thought provoking experience for young children and their adults.